Why Does a Professional Gas Fitter Need to Install Gas Appliances? If you have bought a new gas appliance you are probably wondering if you can install it yourself. 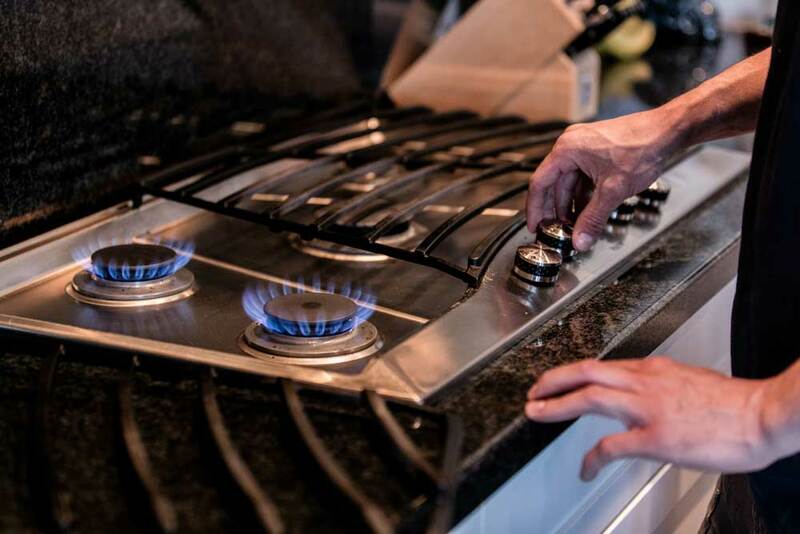 Gas appliances include items such as fireplaces, furnaces, hot water tanks, gas stoves and ovens, tankless water heaters, garage heaters, barbecues and other types of gas heaters. Simply put a homeowner cannot install a gas appliance themselves. This is because the installation of a gas line or gas appliance in Calgary requires a gas permit. Usually in Calgary a homeowner can apply for a permit themselves but this is not the case with gas permits. In order to apply for a gas permit in Calgary you need to be a master gas fitter. A gas fitter must be licensed before they can earn master gas fitter certification. This means that unless you are a master gas fitter you will be unable to acquire the proper permit to install a gas appliance yourself. In addition to having the proper permit an inspection must be performed after the installation has been completed. An inspection can only be completed if there has been a permit taken out for the installation. The inspector typically will come to the job site the following business day after the installation to perform the inspection. If you fail to take out the proper permit or an inspection is not performed on the installation, your insurance may not cover you if there is any problems resulting from the installation. This can also impact the future sale of your home as a home inspector will look at any installed gas appliances to see if they were permitted. Different localities have different rules around permits and inspections for the installation of gas appliances and gas lines. If you are not a resident of Calgary it is important to contact your city’s planning department before moving ahead with a gas appliance installation. When you use the professional gas fitters at Lone Star Plumbing and Heating we will handle obtaining any needed permits for your gas appliance installation, and this is usually included in our quote. We will also set up and handle inspection information as well to ensure the inspection process goes as smoothly as possible. Our gas fitters work with you to ensure you understand all the steps of the installation process and to answer any questions you may have with the safe operation of your new gas appliance. We have many years of experience installing all types of gas appliances and gas lines for both residential and commercial properties. When having any gas fitting job done you want to make sure it is done right and permitted properly, you can be assured this is always the case on all jobs completed by Lone Star Plumbing and Heating. If you have any questions regarding gas appliance installation, permitting, the inspection process or anything else regarding gas fitting please give us a call.